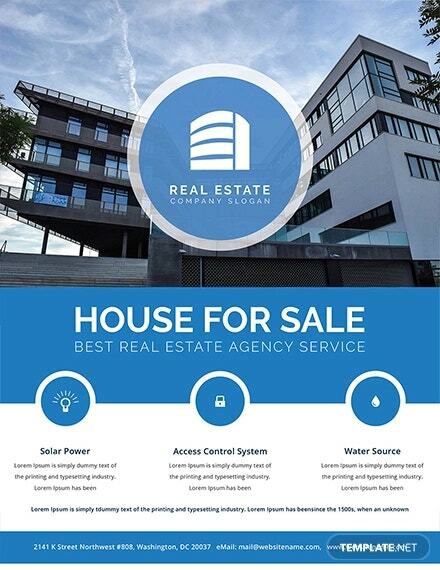 Do you run a real estate agency and you are looking for marketing avenues? 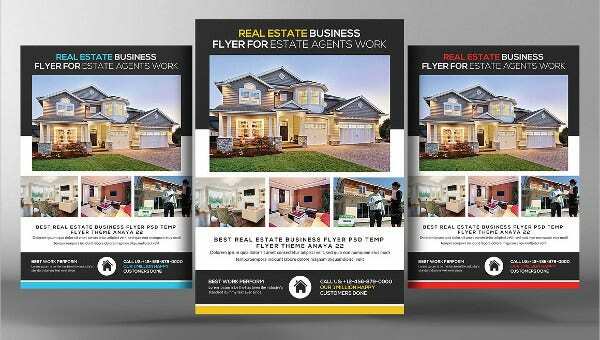 Well, real estate flyer template would be a great thing here as flyer examples are one of the most attractive marketing mediums. 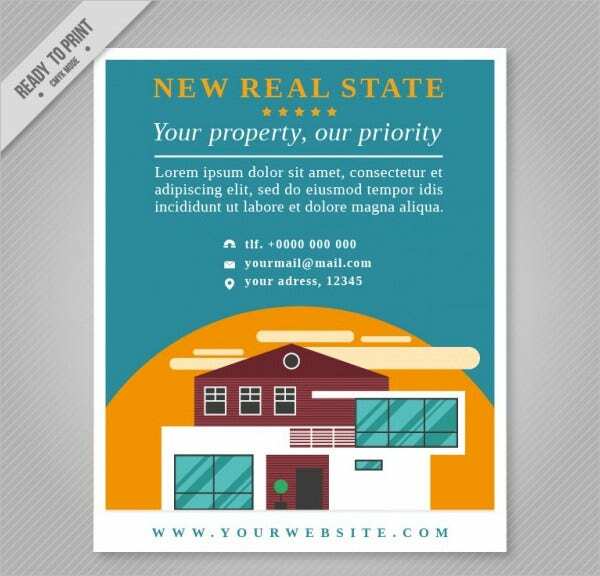 They are handy, portable and can be easily distributed. 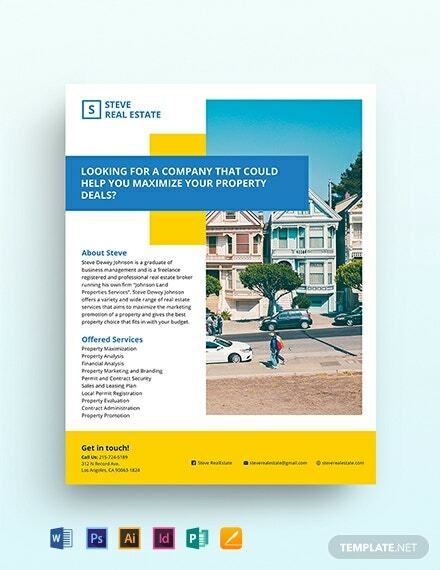 Whether you wish to spread the word about your real estate agency in general or want to highlight your latest property, a Flyer Template would be great for anything. 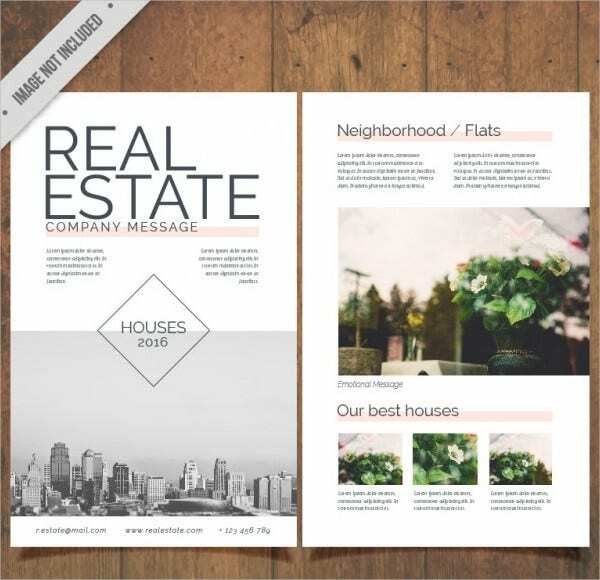 You will even get free flyer template samples for real estate marketing. 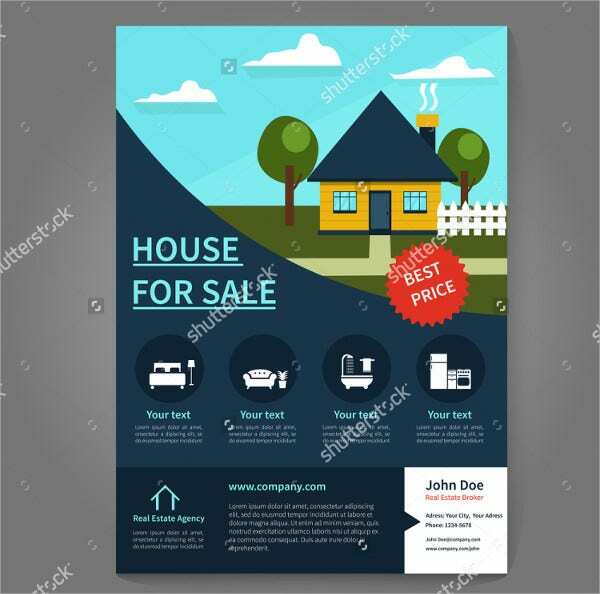 If you are looking for a Real Estate Flyer Template that will enable you to showcase multiple number of properties with images, this template here would be grand for you. 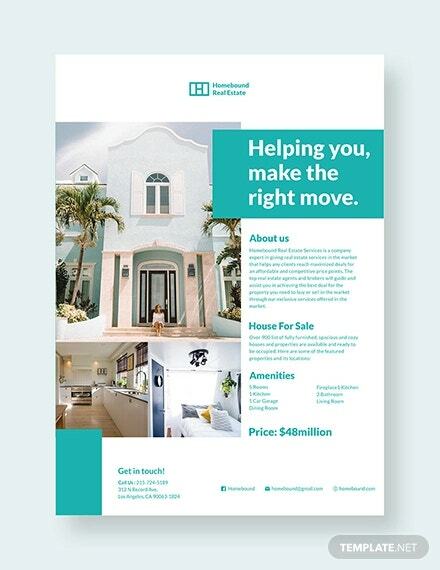 This Real Estate Flyer Template will enable you to flaunt two of your hottest properties with images along with one of your key agents. Besides, you also have space to brief about your agency. 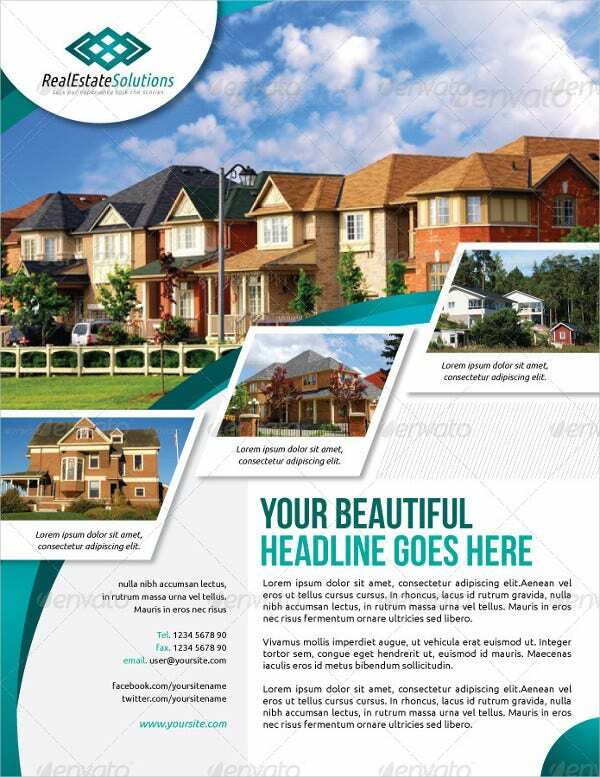 This real estate flyer template when you want a flyer to spread the word about your hottest property with picture. 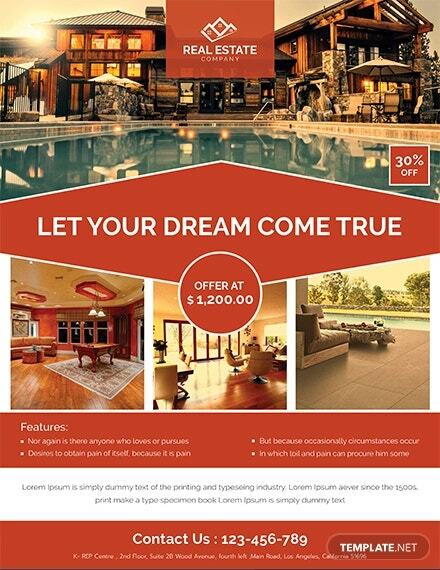 You also have legible room to discuss about its features and amenities. 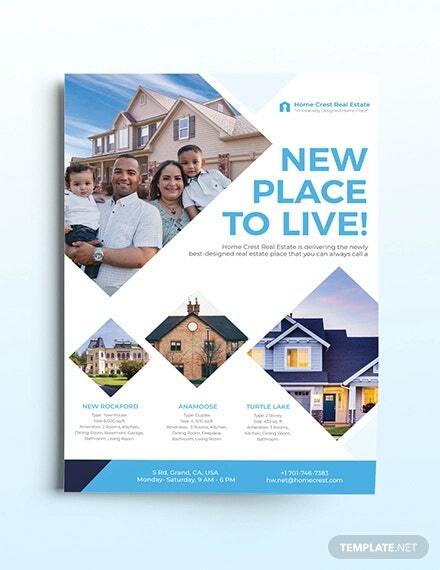 Graphical arts are doing the round these days and if you want to get the same edgy aura with your real estate flyer, this is the template for you. 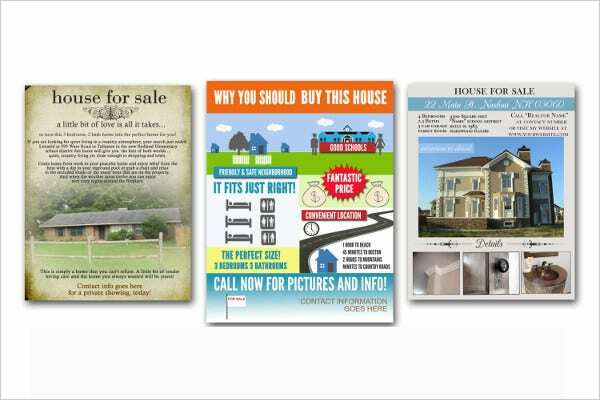 You can advertise your latest property here. 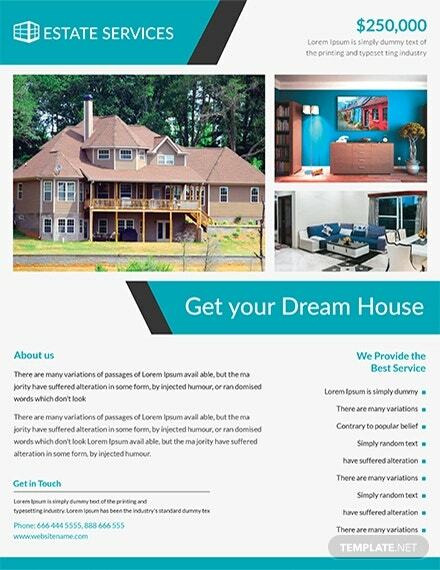 This real estate flyer would enable you to spread the world about your hottest property along with multiple pictures of the rooms and the house overall. 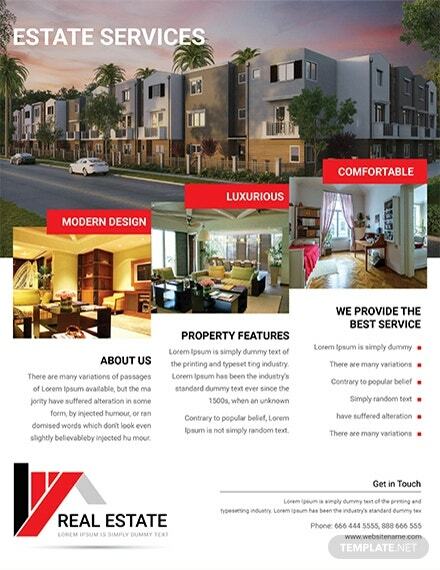 You can also introduce your agent here. 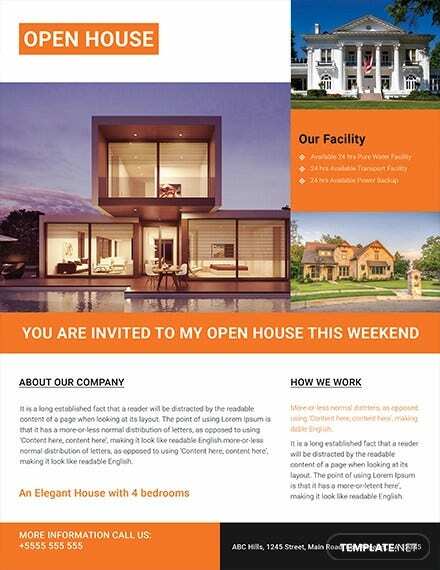 This Open House Flyer Template would be simply magnificent when you are about to advertise about an open house in your listing. 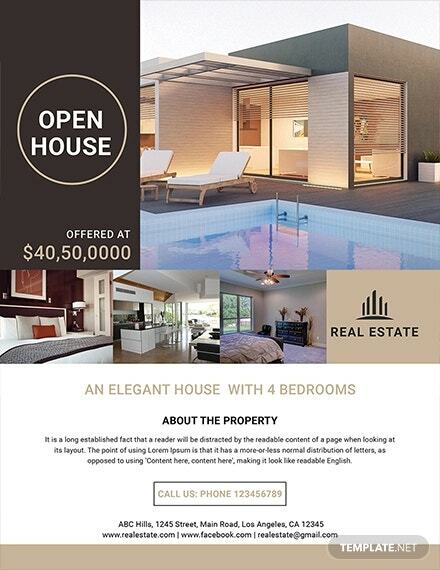 It has got the pictures to do the talking and you can give your contact details below. 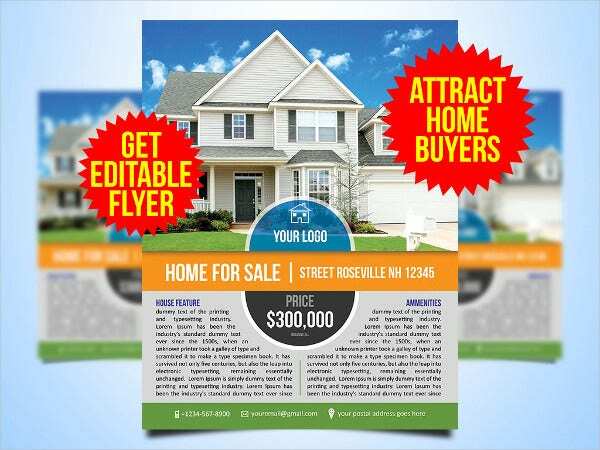 If you are looking for truly pulling real estate marketing flyers, then this flyer here would be a grand thing for you. 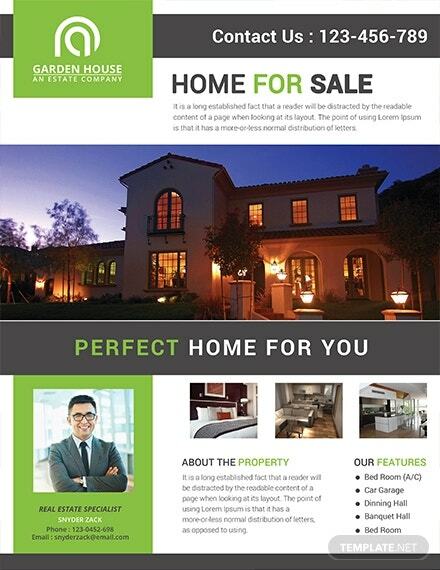 It allows you to show your listing with pictures and textual brief on its features. 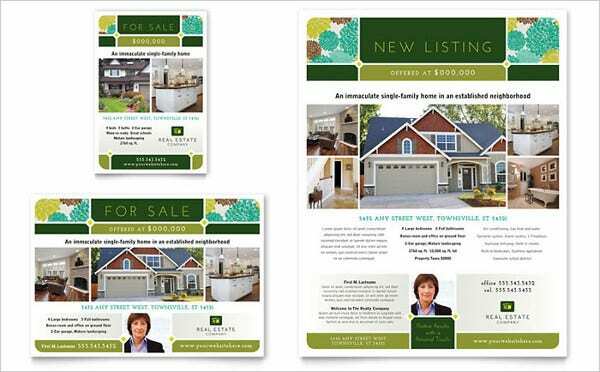 This is an intelligent real estate flyer template that offers you enough space to post about your property with multiple pictures. 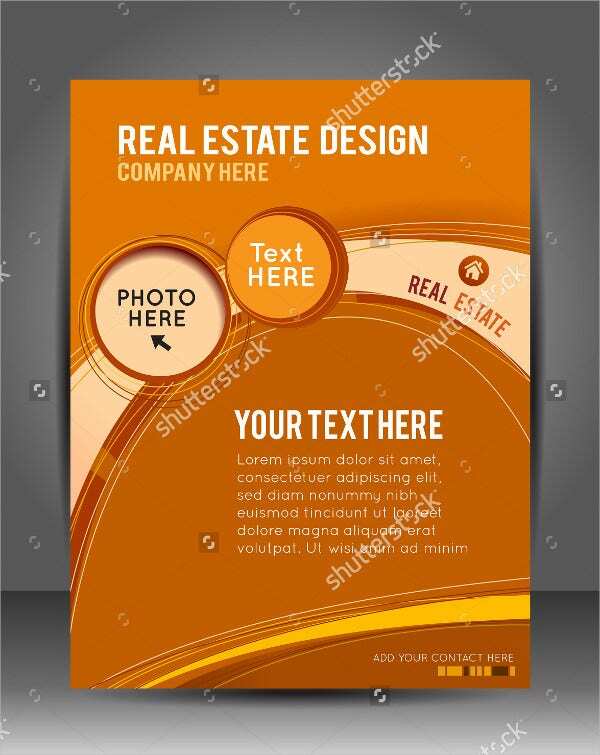 Besides, you would be able to brief about the features of the property in legible bullets. 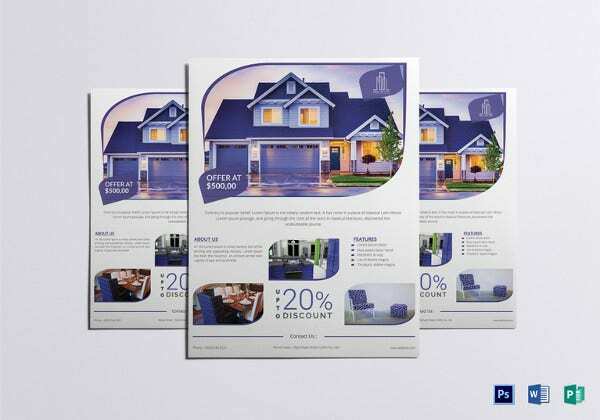 If you are looking for attractive Real Estate Brochures, this brochure template here would be amazing for you. 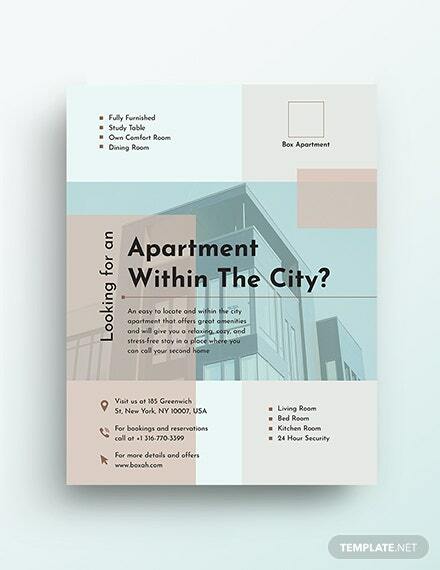 It opens up with an apt artwork of a skyscraper and you have good space above for a catchy headline. 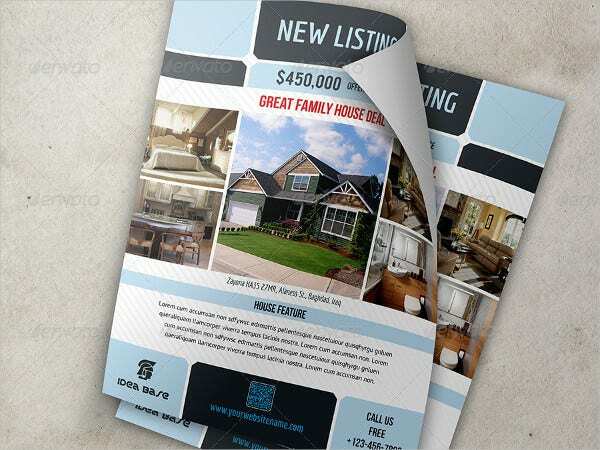 This elegant real estate flyer template will allow you to flaunt the different parts of your hottest listing with pictures and a compact textual brief. 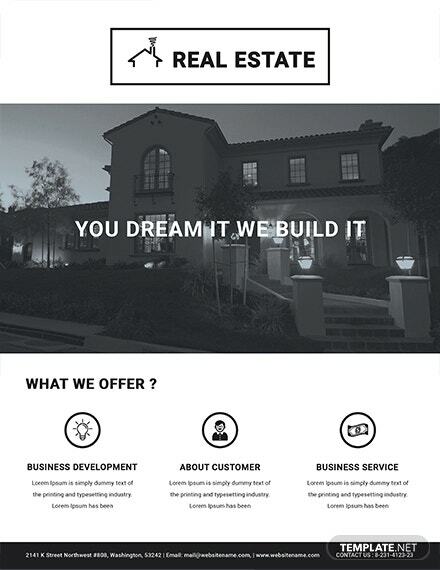 Below you can share the special features of your company. 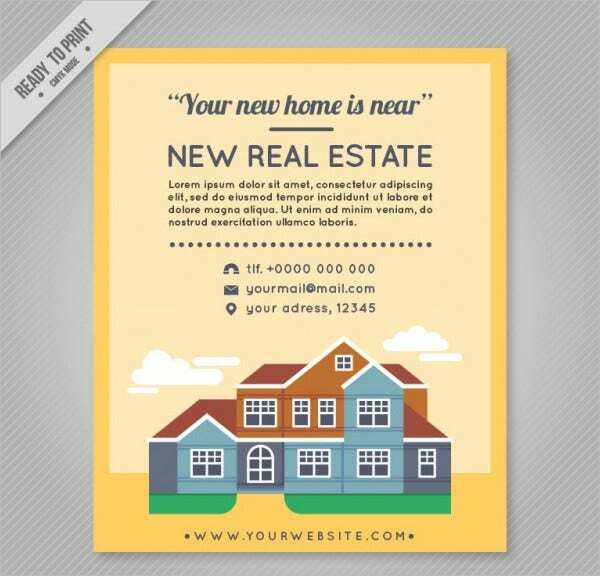 You are getting an awesome range of attention-grabbing real estate posters here in various styles- while one is about classy vintage, the next one is about edgy infographics and so on. 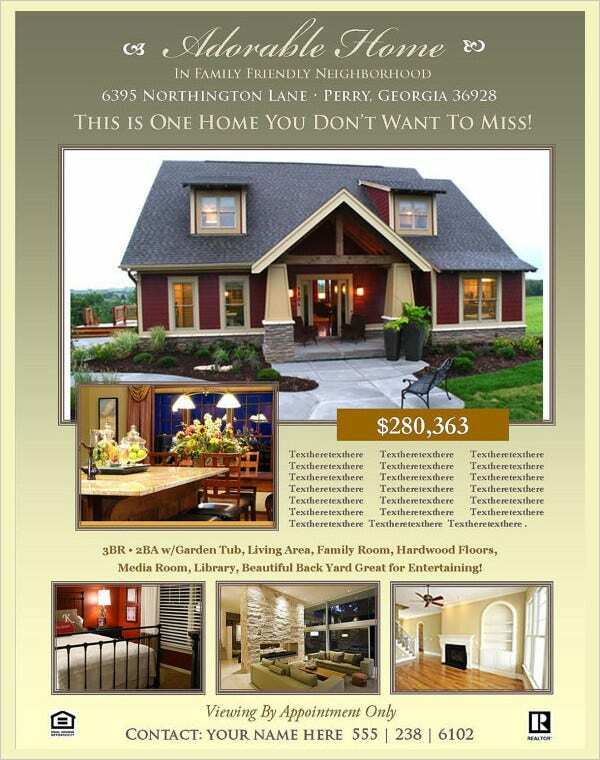 You have a classy real estate flyer here that would allow to advertise about your company and properties on both sides. 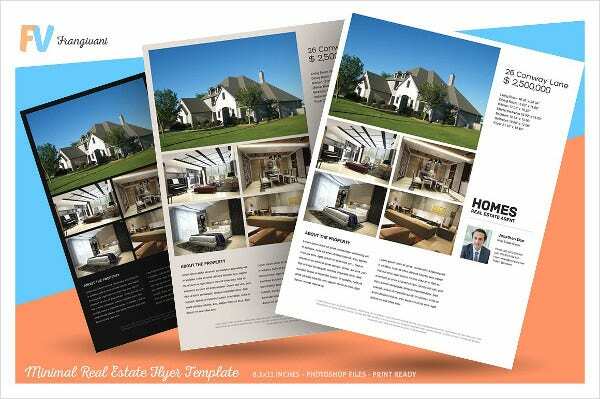 You can spread the word about your properties with both images and text. 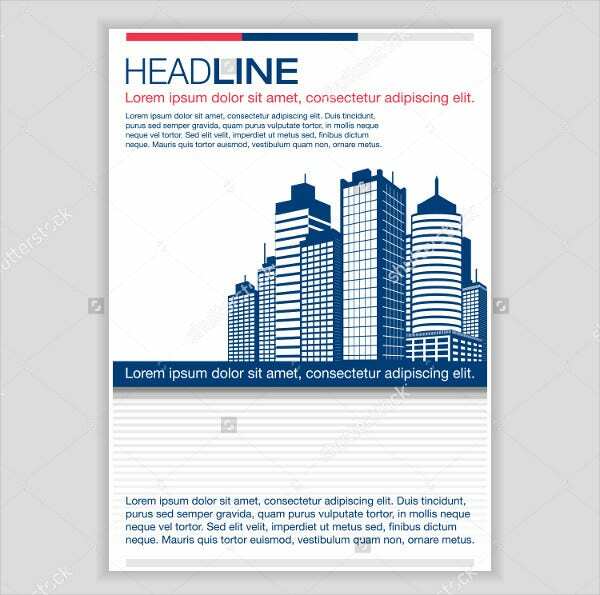 You have a smart corporate flyer template here where you can advertise with both pictures and text. The best part about the template is the tick arrows that assure a legible read of your textual data. 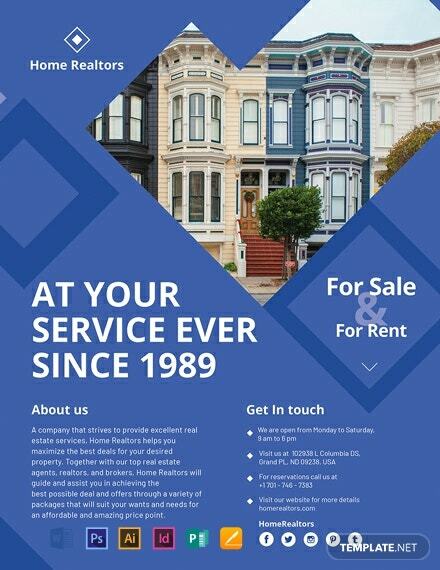 You have a smart real estate flyer template here that opens up with the picture of your most popular property, followed by sections on FAQ and brief about your services. It is available in 3 color options. 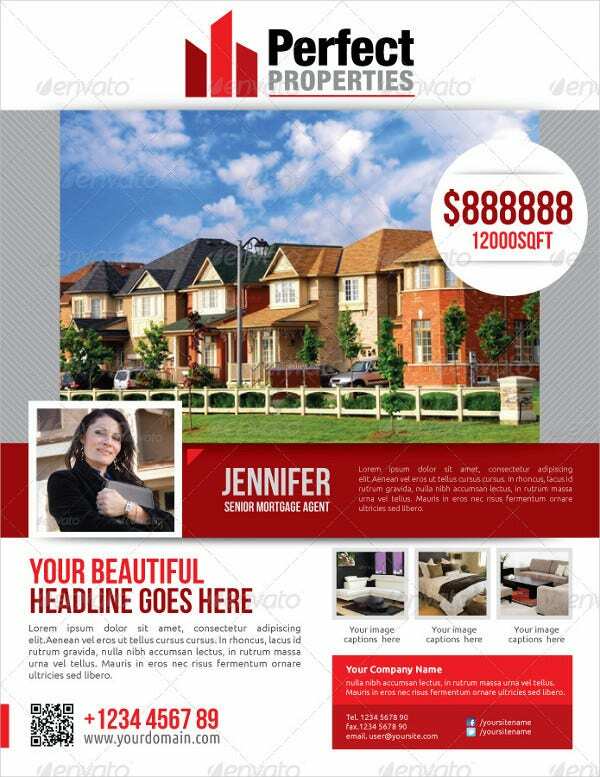 This flyer template here would be great when you wish to have the spotlight on your most popular or latest property. 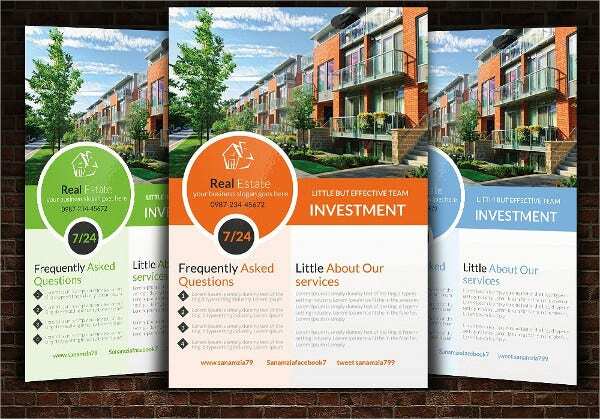 The template enables you to advertise the property with multiple images and textual brief. 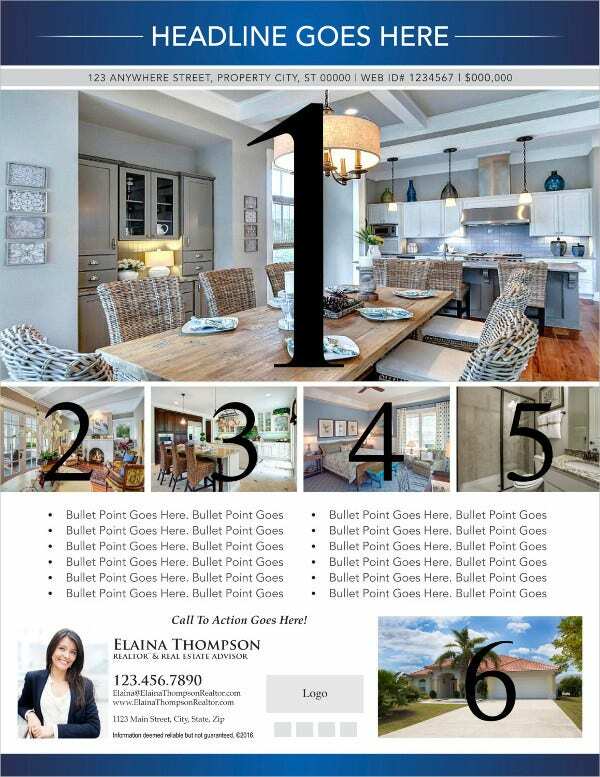 Are you looking for ideas on real estate flyers? Well, then the flyers mentioned above would be really cool for you. 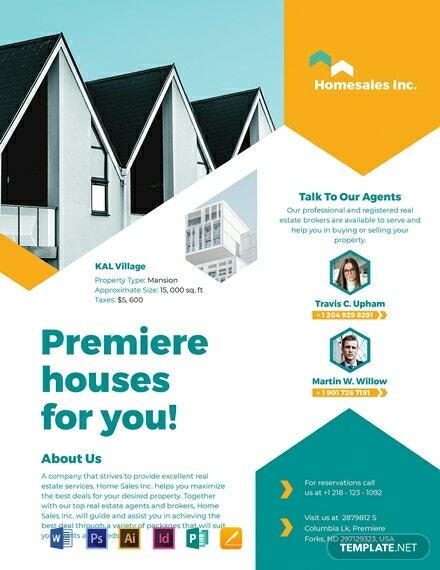 Drafted by pros, they would allow you to talk about your special features or the main aspects of your latest listing and much more. 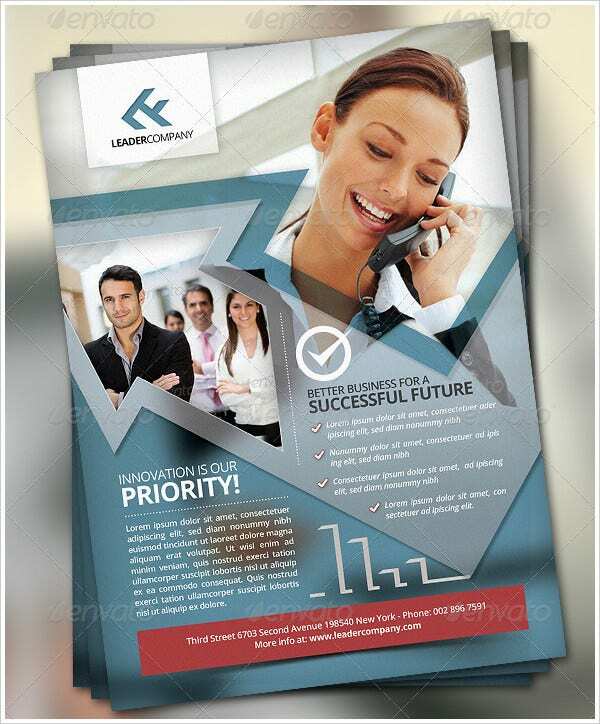 All the templates here can be customized easily.